Green Bay, Wis. – The Associated General Contractors (AGC) of Wisconsin has awarded H.J. 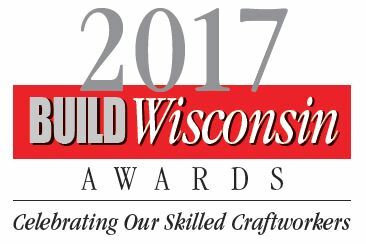 Martin and Son two 2017 BUILD Wisconsin awards, each in the Specialty Contractor-Finishes category. 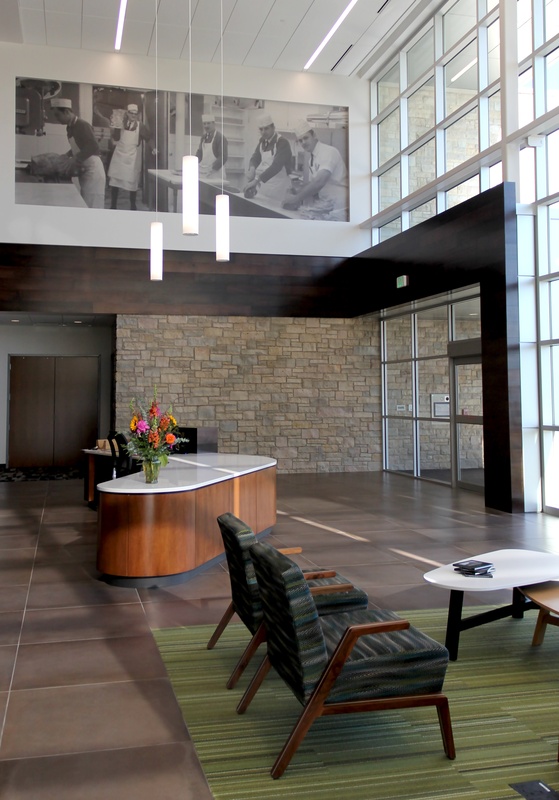 The company projects honored were the Festival Foods Corporate Office building in De Pere, Wis., and the Grande Cheese headquarters in Fond du Lac, Wis. This marks the 20th and 21st AGC awards received by H.J. Martin and Son since the inception of the honor in 2003. It also continues a streak of 10 consecutive times (2007-14, 2016-17) that the company has been recognized by the AGC of Wisconsin (the awards were not given out in 2015). The two awards will be presented to members of the H.J. Martin and Son team at the AGC BUILD Wisconsin Awards Ceremony, Oct. 5 at Glacier Canyon Conference Center in Wisconsin Dells. Festival Foods is an experiential grocer with locations throughout Wisconsin. With explosive growth over the past decade the company had nearly doubled its corporate office staff and was looking to house roughly 75 associates within a single location. The decision was made to construct a new, two-story structure adjacent to its existing De Pere facility; the 43,000-square-foot building was completed in June 2016. A key element of the facility’s design was the incorporation of daylight. This design feature meant that its flooring products in certain areas would need to withstand a high level of sun exposure. To further highlight the flooring under the incoming natural light, a half-dozen bright colors were utilized in Milliken carpet tile. All of the tilework done by H.J. Martin and Son in the restrooms was intricate, requiring extra detail and attention. A random blend of glass tiles were installed on restroom walls for a unique, radiant look. Six tile installers and four carpet installers worked on the phased project over a six-month period. Performa was the project architect and Miron Construction served as the general contractor. Grande Cheese, a manufacturer and supplier of cheese products throughout the United States, constructed a new corporate campus, housing its administrative offices and a research center on a 42-acre site. Completed in July 2016, the 87,000 square-foot structure extensively used glass, which was handled by the Glass & Glazing division of H.J. Martin and Son. All of the project’s exterior glass needed to be installed to exacting standards. With sustainability in mind, high-performance, Low-E glass was utilized to improve solar and thermal characteristics. The Low-E coatings minimize the amount of ultraviolet and infrared light that can pass through glass without compromising the amount of visible light that is transmitted. Sunshades and architectural aluminum work also were part of the exterior installation. Within the interior, H.J. Martin and Son employees were required to install stanchions individually, drilling holes in 3form panels to line them up perfectly, while additionally ensuring that the angles were correct. The installation also included stainless-steel welding on handrails and the attachment of wood handrails to stanchions inside the glass. A complex NanaWall was installed to separate the Grande kitchen and customer tasting areas. The fold-flat glass walls were utilized to close the product preparation area off from clients until it was time for them to be opened and the products shared with customers. An added element of craftsmanship during the NanaWall installation required drilling into the granite countertops – a task which would have only one opportunity to get it right, short of buying a new piece of granite. Additionally, specialty sliding doors were installed from the main lobby out to the courtyard space in order for large-scale access when needed. Fin panels, of multiple shapes and sizes, were painted and formed to fit perfectly between the building’s siding and windows. C.D. Smith Construction was the general contractor for the Grande Cheese project, while Overland served as the architect. AGC of Wisconsin selects winners of the BUILD Wisconsin Awards based on craftsmanship, meeting difficult challenges, community and client impact, and sustainable practices and innovation.